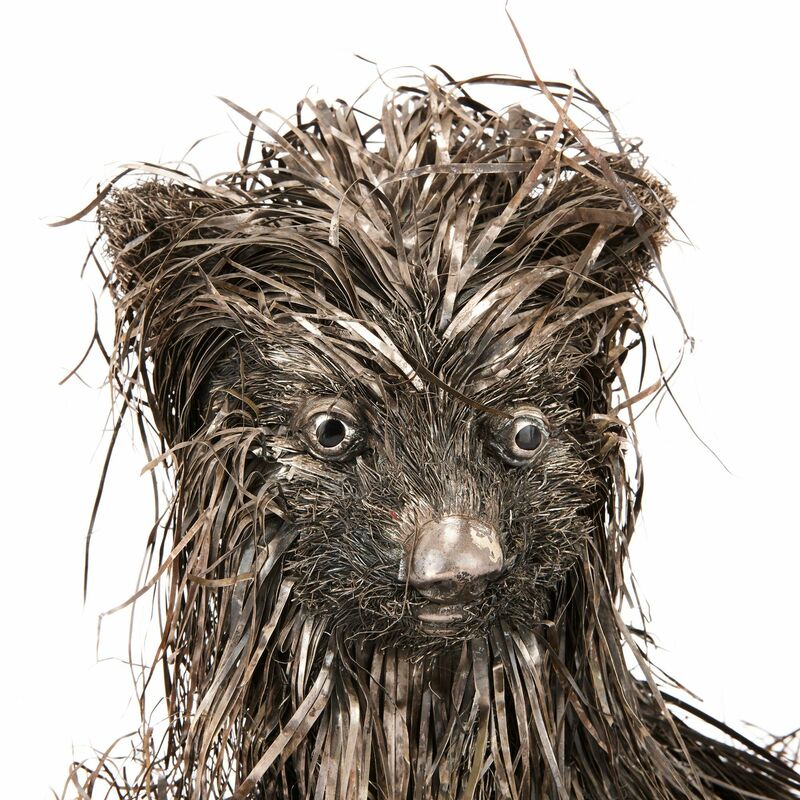 This adorable silver model of a dog has been crafted in the style of celebrated Italian silversmith Mario Buccellati and wears a charming, puzzled expression. 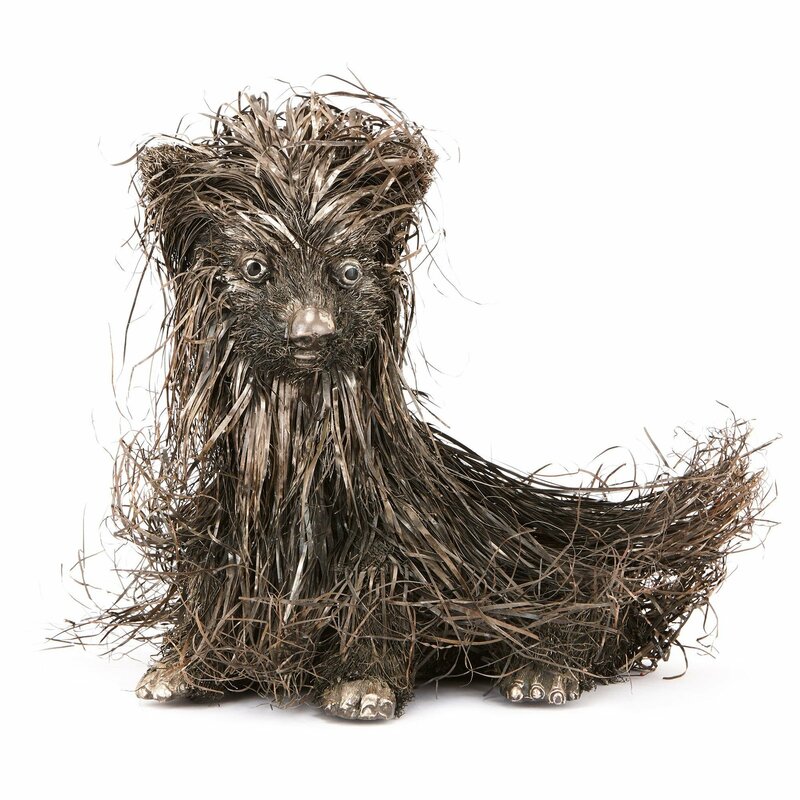 The uniquely stylized silver model of a dog is made of silver and silver wire, and takes the form of a small, terrier-type dog with an expression that is full of character. 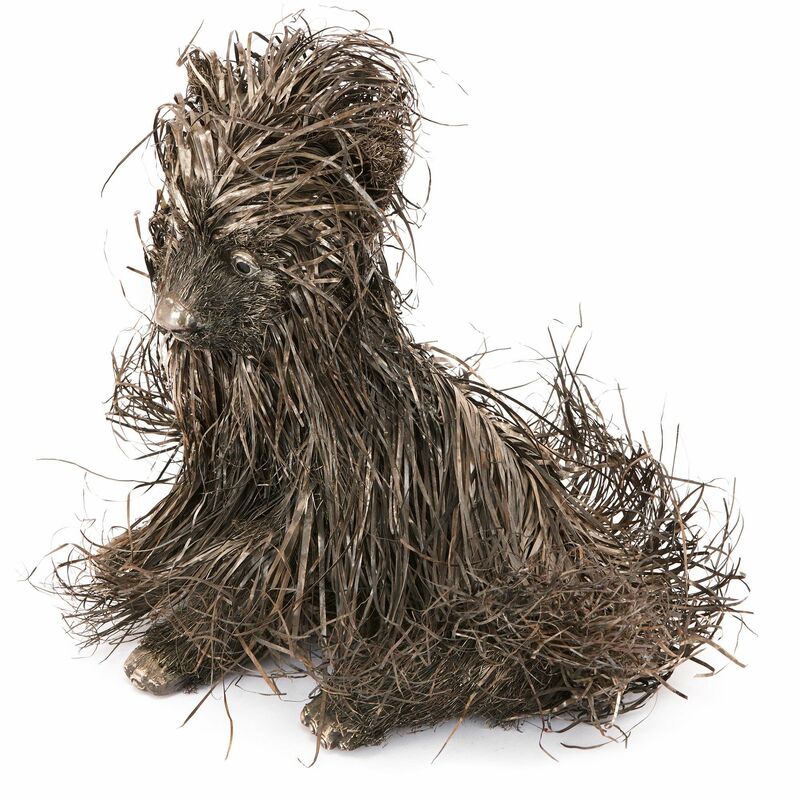 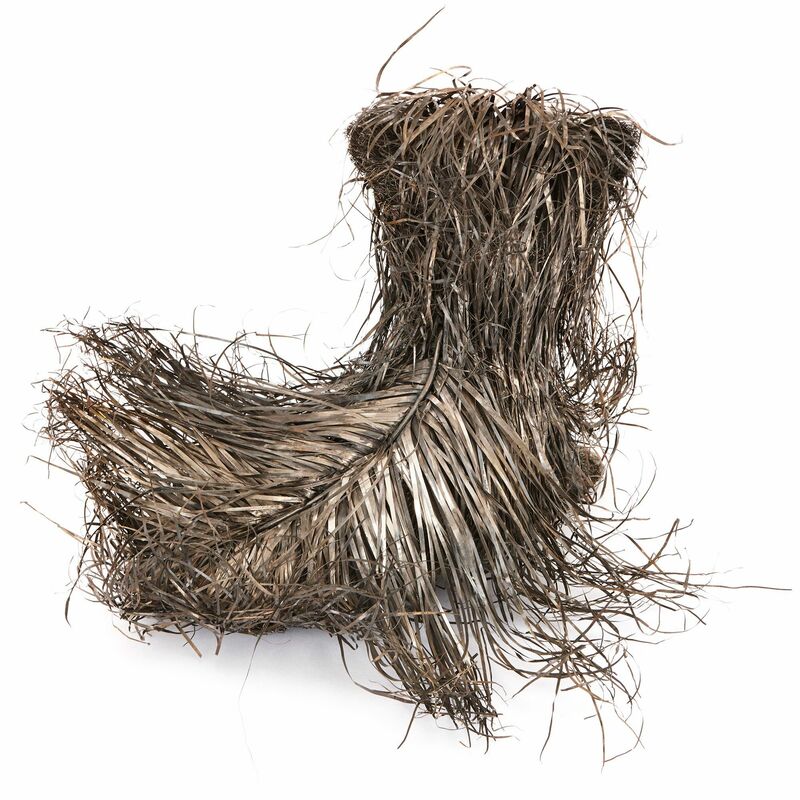 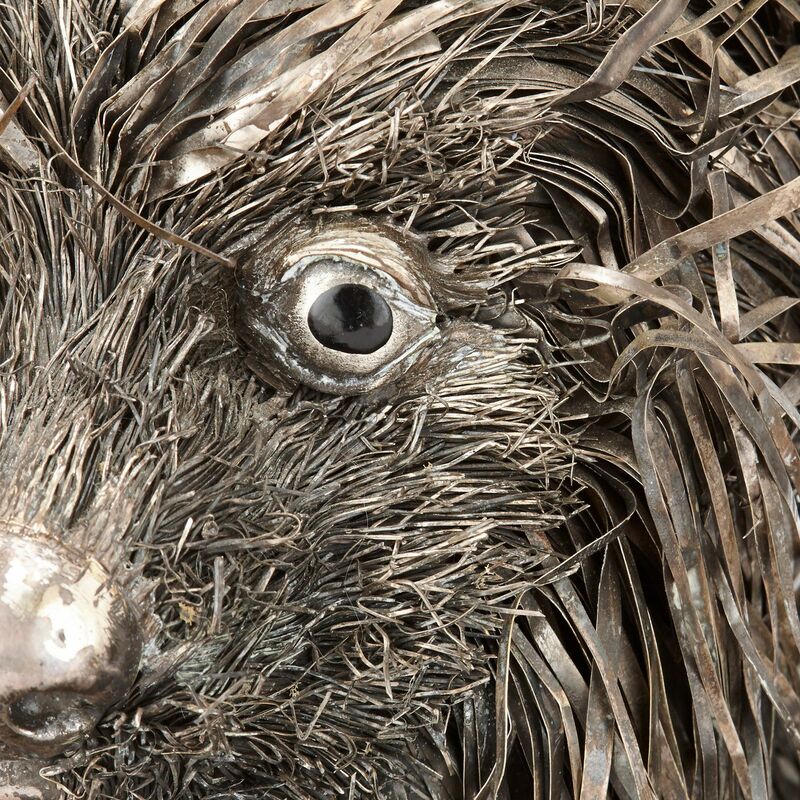 The dog has a dense and unruly fur coat, crafted of fronds of silver wire, and just visible, peeping out from under the fur, are four silver-cast paws. 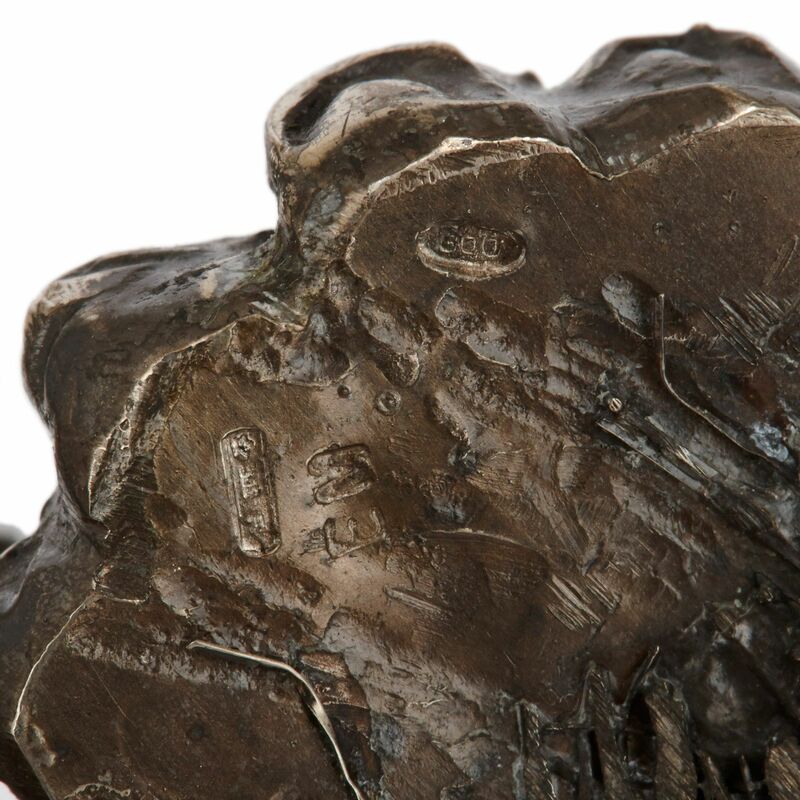 The underside of the dog is stamped with various silver hallmarks and other markings.